Okay so my wife knows me too well and knows I love the unusual in most things. 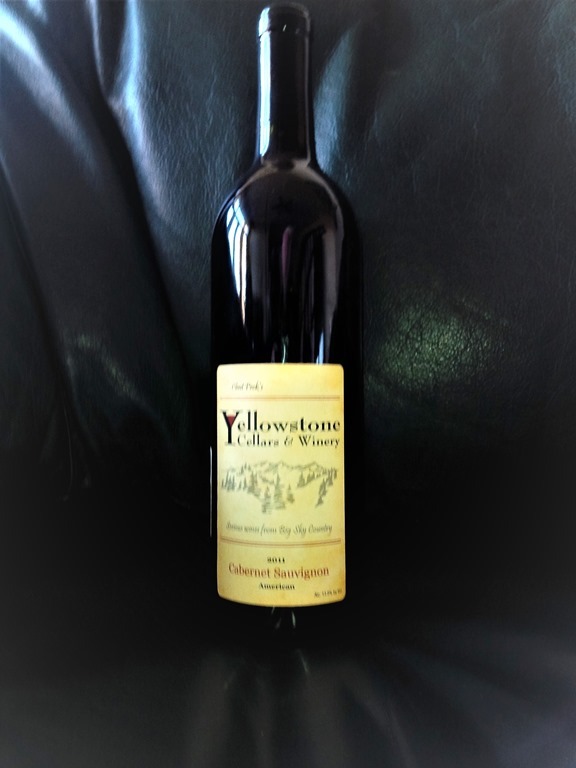 For my birthday this year she bought me a couple of bottles of Yellowstone Cellar & Winery 2011 Cabernet Sauvignon, after all who would expect to find a fine wine vinted in Billings Montana. She hit a homerun! I really enjoyed this wine on every level and it was way more than I expected when I first opened the bottle. That said, I have to admit that given the current immigration climate, it might be ripe for deportation (to the state of Washington – okay so that would be emigration). 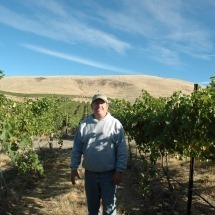 While crafted in South Central Montana on the banks of the Yellowstone River, this wine was born of grapes from the Elephant Mountain Vineyards (Yakama Valley) under the fine stewardship of Joe Hattrup, owner and horticulturist at this highly sought after Central Washington Vineyard. So the question is: Washington state wine or Montana crafted wine. This is a serious question as the grapes come from Montana soils deposited in the Yakama valley when the Ice dam broke and drained Glacial Lake Missoula through the Columbia River basin carrying enormous amounts of silty rich soil to all sorts of place downstream including the Yakama valley. On a humorous note, Federal wine labeling laws further compound the problem because they don’t allow this wine (all vintages after 2011) to be considered a Washington wine because after 2011 the wine was actually vinted in Montana. On the other hand since the grapes are not grown in Montana it can’t be labeled a Montana wine either. After 2011 this wine is labeled as an “American” wine as th at’s the label the government puts all wines that don’t fit the mold. You have to love government regulations. In keeping with my 1960’s upbringing I choose to ignore the regulations declare this to be a very fine Montana wine made in a state of the art Montana Winery by a Montana (born and bred) winemaker, Clint Peck. This Cab can stand up to the best that California and Washington State has to offer and in many cases come out on top. I’d even venture a prediction that in seven to ten years this wine will still stand up grandly while many of the California and Washington competitors of the 2011 year have passed their prime and become cooking wine. If you would like to see my tasting notes and a complete review of this wine and its complexities, you will find it on the Wine Reviews page of this Blog. This entry was posted in Cabernet Sauvignon, Craft Wines, Montana, Red Wine, Varietals, Washington, Wine Making, Wines and tagged Cabernet Sauvignon, Montana, Red Wine, Varitals, Wahington, Wine, Wine Making. Bookmark the permalink. I fear there are going to be no answers until we see major changes in our government. Sadly, I find the fact that so many people in this country see what’s happening as a good thing beyond depressing. Perhaps we should just eat drink write about food and wine and ignore the rest of the world. Ah Robert, it’s good to see you writing again. As always, you intrigue with your description. Having spent some time on the Palouse, between Montana and the Yakima valley, I know what fruits that loess-y soil can bear and now look forward to one day tasting this new offering. I’ll ask for it at my local shop. I’ve been spending more time making sawdust and less time drinking wine. Still writing, just not as publically as before. Long as you’re enjoying life and the people you love. That’s what’s important, especially in such times, eh? The non-public writing is because of the times we live in and the “Thumper Principal” — If you can’t say something nice don’t say anything at all. I’ve been having quite a bit of trouble with that one myself. Silence is healing, on a personal level, but where injustice is concerned can be deadly, exponentially so, as we saw in Nazi Germany, and as we see in countries around the world where people fear to speak Truth. The questions for me are, how best to use what skills I have to effect positive change and how to let my anger propel me rather than disgrace me, or silence me altogether. I pray you find all you need in the work you are doing, including the answers you seek, perhaps answers we all seek.